It’s important an individual does not attempt to travel to the U.S with a criminal record unless they have acquired the proper U.S Entry Waiver. It can be tempting to cross the border without one, and there’s a common myth that the border patrol often does not require personal I.D for most visits, but this is not truly the case. Over the past few years, the American border control has been asking for identification from more and more individuals passing from Canada. This will only be increasing and the repercussions for an individual with a criminal record attempting to cross the border without a waiver are becoming increasingly harsh. The first time you are caught trying to transfer the border without the proper forms you will have your photo taken and your finger will be printed. It can be a very unpleasant and embarrassing circumstance to endure. On second attempted entry without a waiver, your treatment will become increasingly more brash and startling. It’s not worth testing your luck. You could face harsh fees or even containment. 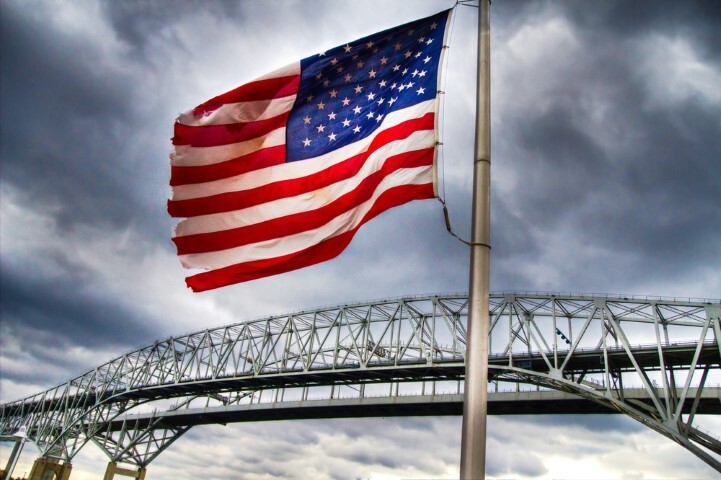 These are among the many reasons you need to go through the process of applying for a U.S entry waiver when you need to cross the border and enter the United States. Do you really need a U.S waiver? The short answer is yes. No matter the severity of your crime, any criminal record can make it very difficult or impossible for a person to cross the border without a US entry waiver. A US waiver of inadmissibility can be issued for a timeframe of one, two or five year periods. The length of the waiver is decided base on the quality of your application, the severity of the crime committed, the sentence delivered, and if it’s a new waiver or a waiver renewal. What does it take to successfully receive a waiver? What a lot of people don’t know going into the application process of applying for a waiver is that there is a stack of difficult paperwork associated with the procedure. You will be required to provide a number of documents, many of which can be difficult to obtain and take a long time to receive from the government. This is why it’s important to trust your application process to the professionals at Pardons and Waivers Services. Any misinformation or small mistakes on your waiver application can result in the denial of your application or the shortening of the timeframe granted. If you have a Canadian Pardon, do you need a US Entry Pardon? Yes, it’s important that you do. It’s a myth that if you have a Canadian pardon that you won’t require a U.S entry waiver. The United States do not recognize Canadian pardons and they keep your conviction on file when you do receive a pardon. The US Customs and Border Protection agents have the ability to see any criminal conviction you’ve made, no matter if you’ve received a pardon or not. It’s important that if you are required to obtain a US entry waiver that you do so without taking the risks associated with crossing the border without one. It can have long lasting effects on your ability to travel. How do I receive a U.S Entry Waiver? By working with Pardons and Waivers Services, you are trusting that your application process proceeds as quickly and effectively as possible without taking the risks associated with attempting to complete the process on your own. It’s an extremely timely, complicated and legal process requiring experience and expertise in the fields of law and US relations. When you work with Pardon and Waivers Services we gather the necessary information from the RCMP and Courts as well as assist you in writing an impact statement by providing parameters and guidance. On average this application also takes approximately four to six months to complete. Call Pardons and Waivers today.